Heist wasn’t on my list for Charlotte initially. 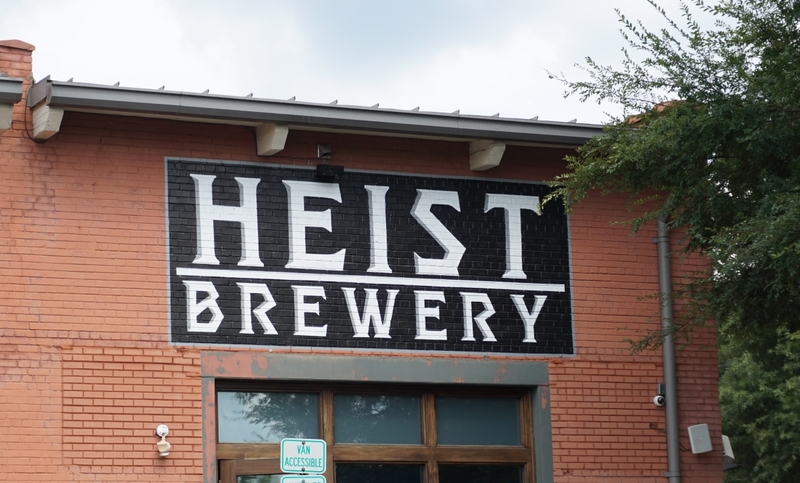 I ran into a friend who had been out to Charlotte recently (the brewers from Council Brewery) and they immediately said Heist was their favorite. Out of the small number of breweries I visited this was also my favorite. 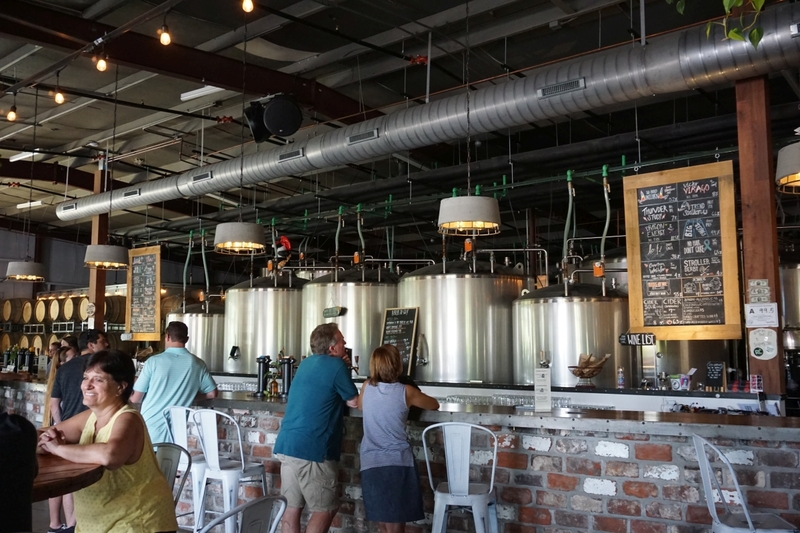 Depending on your style preferences, you might enjoy Heist more than any nearby breweries including popular Ashevillle options. They also have fantastic food. 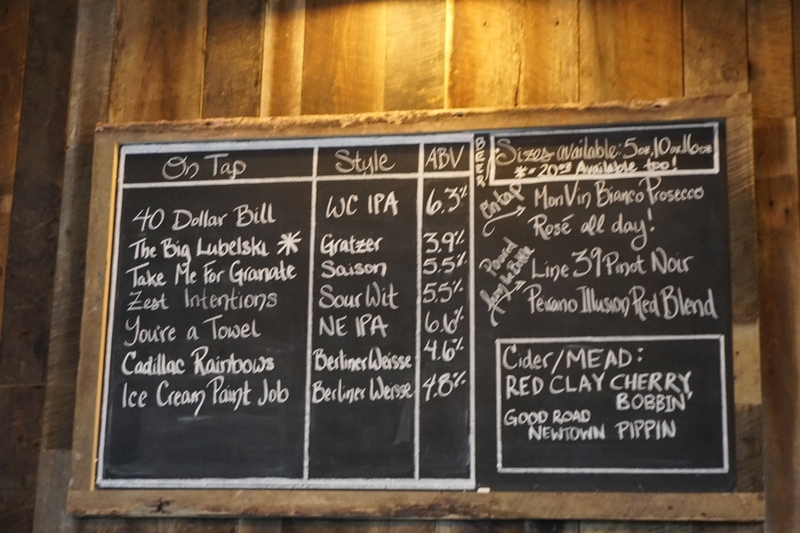 Heist has a restaurant and focuses primarily on hazy IPAs and fruited sours. Even their honey blonde is hazy. I enjoyed all of the beers there and a few stood out as favorites. I started with Mango Pick’n, a Berliner Weisse with tons of mango added. It was thick and creamy with prominent ripe mango puree flavor. The mango overpowered the base beer so it only had a hint of lacto tart on the finish. This was my favorite of the bunch and I left with a few four packs. Next was High Fives, described as a honey blonde, this tasted more like a hazy pale ale with some honey added. Mild honey sweetness supports the hop aromas of tangerine. The beer had a nice medium body and wasn’t very bitter or acidic. 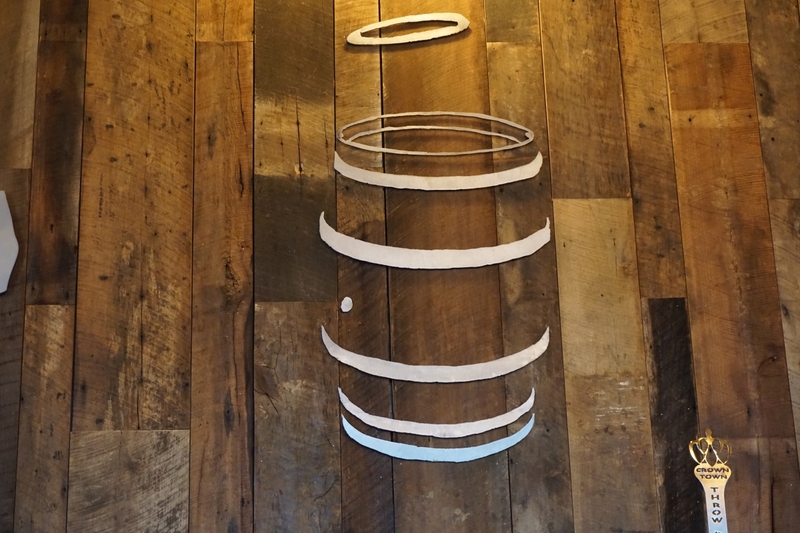 I was tempted to get a crowler of this one as well. Next was Torguga, a hazy IPA with pineapple and coconut. The adjuncts blended in perfectly with the base beer and it was like a creamy pina colada hazy. My husband took a sip and remarked that it doesn’t taste like an IPA. The hop aroma was minimal or non-existent and the beer was minimally bitter. 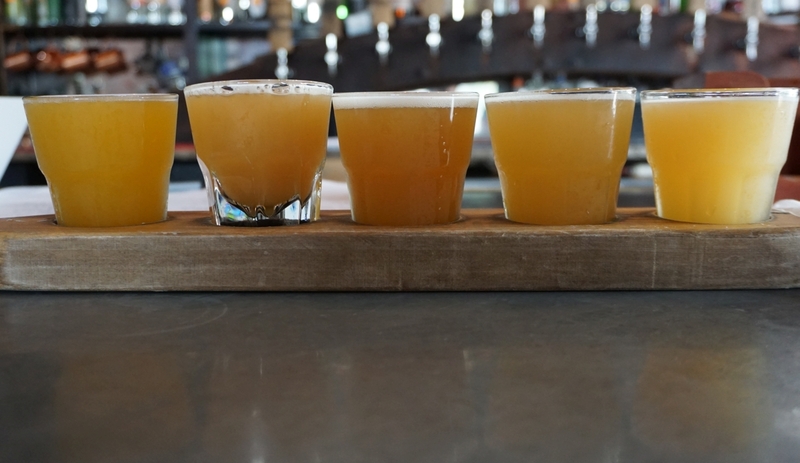 The two hazy double IPAs were both solid but both were fairly muted in hop aroma and neither had the same level of flavor as the others on the flight. Blurred up was super tropical on the nose but did not come through with similar flavors. The beer was acidic on the finish and had a nice creamy body with mild sweetness and low bitterness. The Cloud Control was a bit softer and less acidic with prominent notes of pineapple. While they nailed the mouthfeel it could have had more explosive hops. Though I didn’t care for the double IPAs, the other beers were quite impressive at heist. 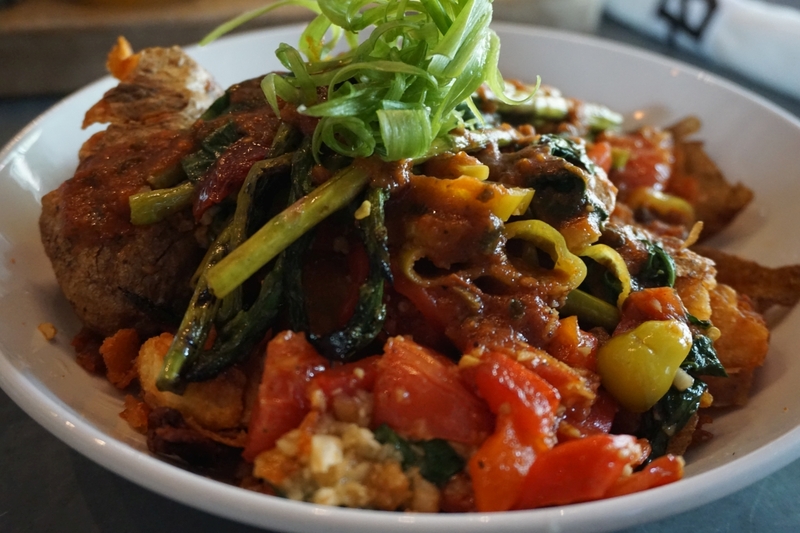 This is a spot you should not miss if you are either local or stopping through. 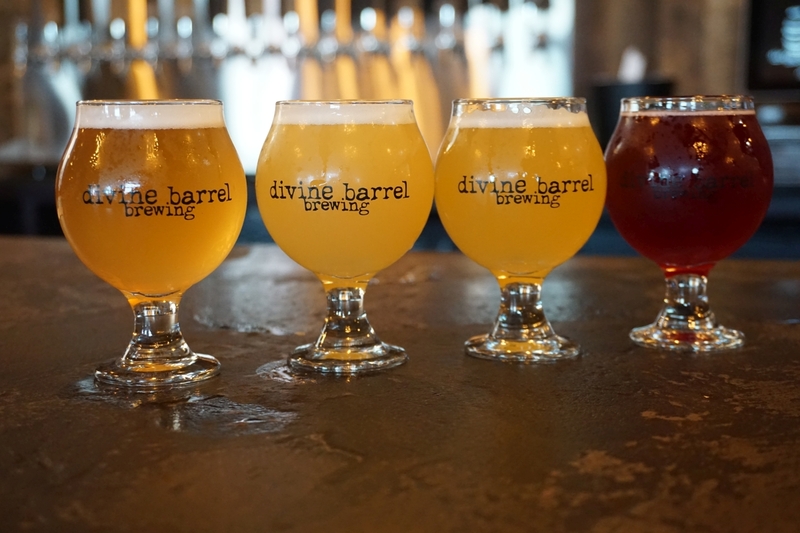 Despite the name, there were no barrel-aged offerings when I visited Divine Barrel. They have a huge open tasting room but it has quite an echo because with just the talking of people it gets uncomfortably loud. This led me to speed through my flight more than I might have otherwise. They had solid beers but nothing that really stood out as better than the others. The saison was fairly standard with notes of honey and pear white wine. It finished with hints of pomegranate. The hazy IPA was bitter and piney and just mildly creamy. The hops don’t work very well with the hazy style. Cadillac Rainbows was an incredibly tart fruited berliner with notes of apricot and passion fruit. The lacto tartness was so prominent it overpowered the fruit. This is a nice counter to other more juicy versions of the style but I don’t think I could drink more than a taster of it. Ice Cream Paint Job is a similar berliner but with more berries and the addition of lactose. It was much less tart than the other and had only light acidity from the berries. Lactose adds sweetness. Maybe in a few years Divine Barrel will have more barrel aged offerings but for now they are fairly standard with their offerings. If you like more acidic berliner weisse styles this might be a good spot to try. 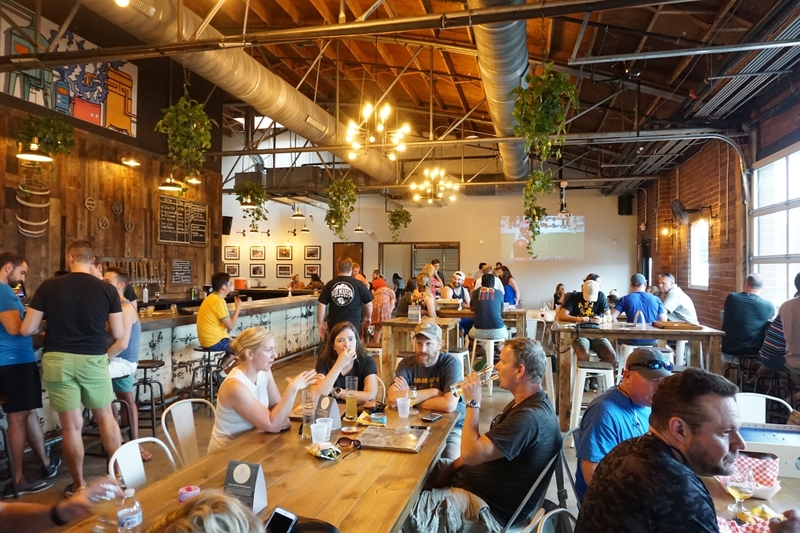 Resident Culture is one of the most talked-about breweries in Charlotte. This is in part because it was started by an ex-brewer from Russian River. They had a large variety of beers on tap though I only tasted 4 because my husband needed to rest and it was quite loud. Thankfully they had a couple of bottles I was able to bring with me to-go. 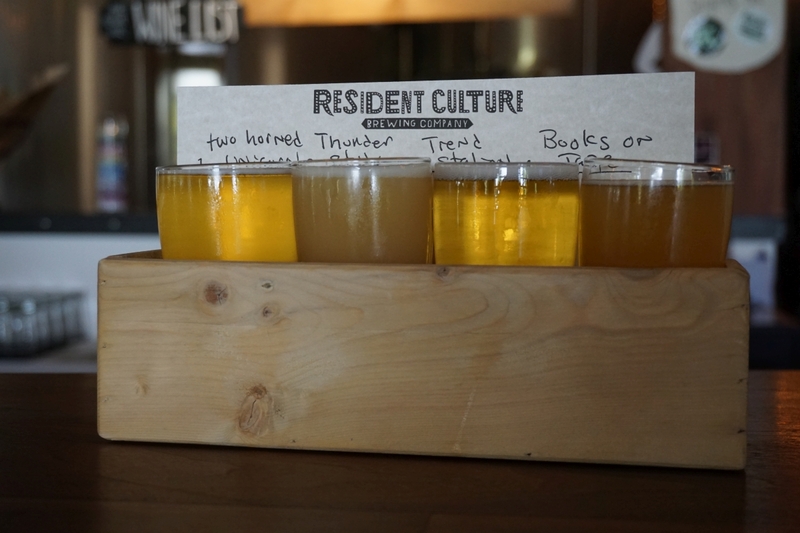 Resident Culture has a large tasting room and the day we visited they had some live music. I started with the hoppy farmhouse. It had prominent herbal hops and notes of bubblegum with a mild earthy finish. It was a solid farmhouse. Books on Tape, a peach brett beer was my favorite of the day. The flavors worked wonderfully with peach and brett funk blending together. The beer had a light acidic finish. I probably would have ordered a pint of this out of the four I tried. 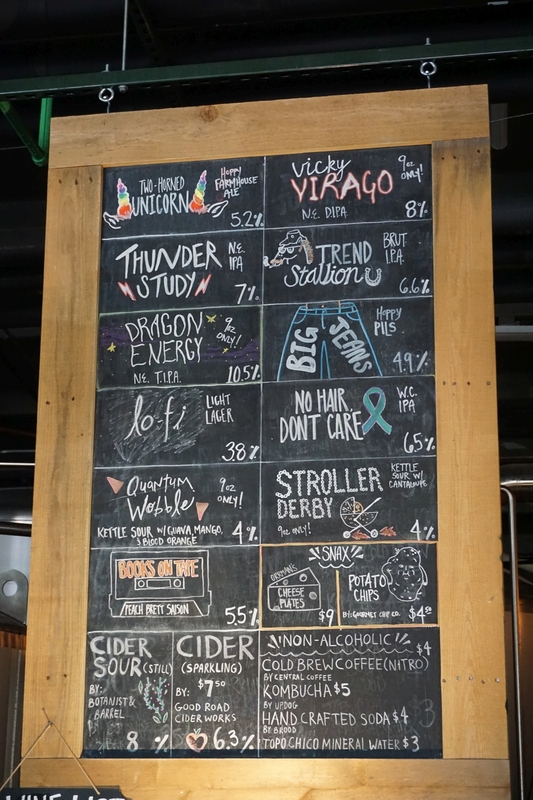 Thunder Study hazy IPA was creamy with notes of vanilla and pineapple and a mild herbal hop finish. It was solid though not as flavorful as Heist. 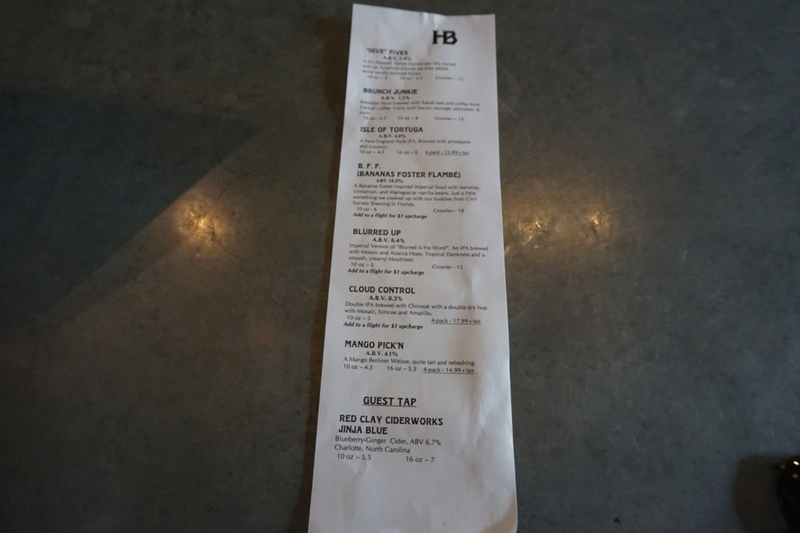 The brut IPA was a bit buttery, which may have been diacetyl. The beer was super dry with mild herbal hop character though overall a bit too subdued hops for my preference. I had two bottles in my hotel room directly after leaving the brewery. Both were mixed culture saisons aged in oak. 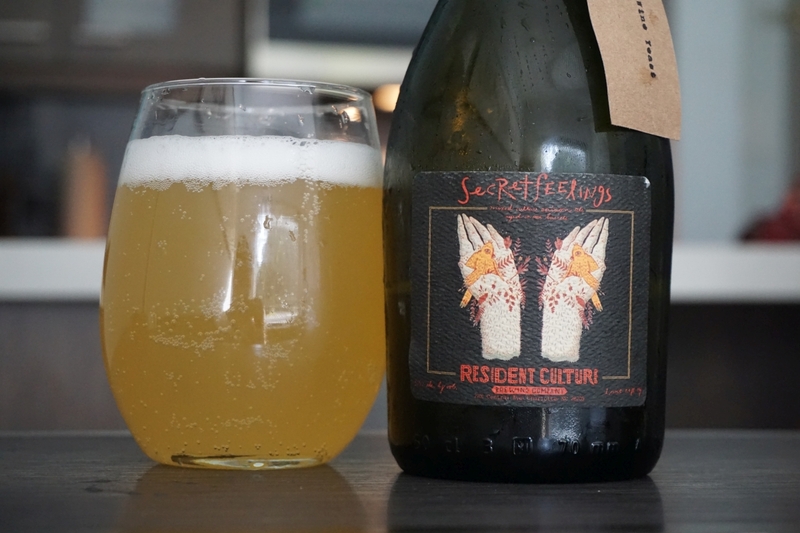 Secret Feelings was super carbonated with notes of buttery oak, subtle funk, and mild lemon. It had an excellent balance. 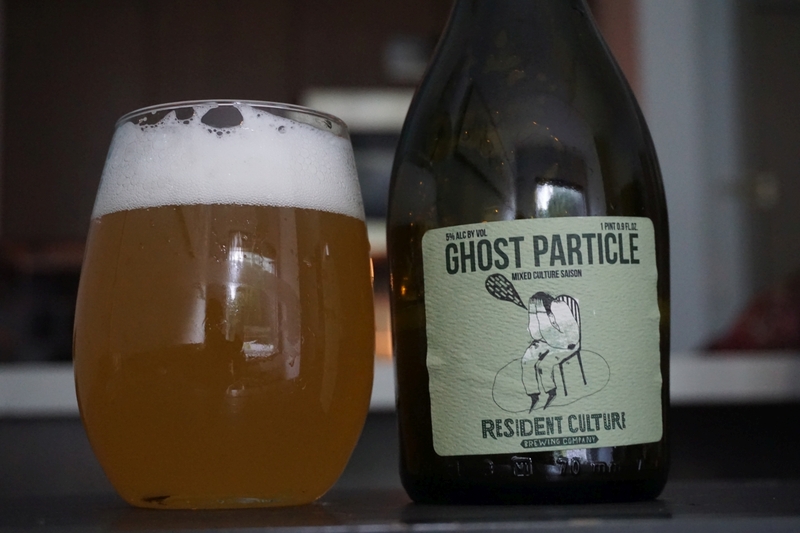 Ghost Particle, aged a bit longer, was funky and oaky on the nose and a bit more carbonated. The beer had notes of caramel and kiwi with flavors more on the fruity side than the other one. Both were excellent for the style but I prefer the Secret Feelings of the two. Though not as impressive as Heist, Resident Culture is excellent and if I were to come back I would try a few more beers there. They certainly know how to work with brett.